After a disappointing debut last weekend, Ron Howard’s Solo: A Star Wars Story plummeted 65.6% in its sophomore frame, a strong indicator that the $300 million production is crash diving into a pool of red ink. The failure of Solo to create the usual Star Wars box office magic has left the 2018 box office, which has been revived from the doldrums twice, first by Black Panther in February, and then by Avengers: Infinity War in April, reeling again with the weekend total down a whopping 44% from the same frame a year ago when Wonder Woman opened with $103.3 million. 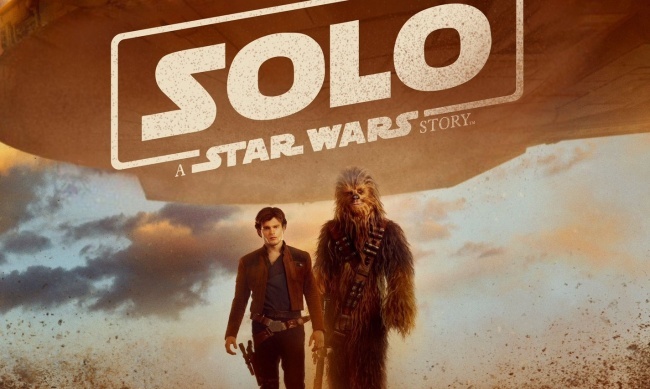 With no major action films opening this weekend Solo had a chance to make up a bit for its weak opening, but the 65.6% drop from its debut strongly indicates that Solo will be the first of Disney’s revived Star Wars film that will actually end up losing money in its theatrical release, in part because production problems and reshoots caused the film’s budget to balloon to $300 million. 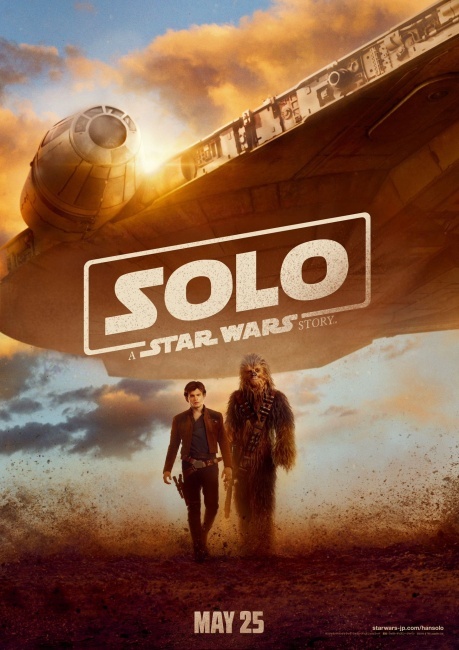 Still Solo may still do some damage post-theatrically—though it has been criticized as a “conventional” adventure story, Solo has received generally good reviews and a solid “A-” CinemaScore from opening weekend audiences. Solo is a film that many Star Wars fans will want to see, but evidently not in theaters just three months after The Last Jedi finished its run. While Solo’s second weekend drop is similar in scope to that of The Last Jedi, the circumstances are very different, The Last Jedi had two weeks of winter vacation in which to make up for a weak second frame (caused in part by the fact that Christmas Eve fell on a Sunday), and dropped from a much larger ($155 million debut). Solo will soon face strong competition from the Jurassic World sequel, which opens in 49 international markets next weekend. Unlike other franchise films (Pirates of the Caribbean) that lost their luster here in North America, but continued to grow in popularity overseas, Star Wars remains a franchise that plays much better here than it does in the rest of the world. So far Solo has made about $150 million in the domestic market and just $115 million overseas. Second place went to Fox’s Deadpool 2, which dropped 46.6% in its third frame as it earned $23.3 million to bring its domestic total to a solid $254.7 million. After opening about 3% behind the original Deadpool, Deadpool 2 is now 10% behind its predecessor’s 17-day total. However Deadpool 2 is doing better overseas, where it has earned $344 million, 57.5% of its current total, which is well ahead of Deadpool 1’s total at this stage, so it appears now that while Deadpool 2 may end up earning $80 million less than its predecessor here in the U.S., it will likely end up with a final global total topping the original Deadpool’s $783 million. Third place went to the new “survival at sea” saga Adrift, which stars Shailene Woodley. Adrift attracted an audience that skewed female (68%) and a bit older (69% over 25, though 19% was under 18). The problem is they gave the film just a “B” CinemaScore, which does not bode particularly well for the $35 million film’s future prospects. With the success of Black Panther, which is now just $800K short of earning $700 million in the domestic market, Marvel Studio’s Avengers: Infinity War has been overlooked, but the ensemble superhero action extravaganza has demonstrated remarkable “legs.” Infinity War earned $10.4 million in its sixth weekend, driving its domestic total to a mammoth $642.9 million. Will Infinity War be able to catch Black Panther and become the #1 domestic hit of 2018 so far? Perhaps, but it is almost beside the point given how well Infinity War has done overseas where it has earned $1.3 billion (including $356 million from China). As a result Infinity War is just $35 million short of becoming only the fourth film ever to earn over $2 billion (and it won’t be released in Japan until the end of this month). Infinity War is now the highest grossing superhero film ever, and has a chance to equal the worldwide total of Star Wars: The Force Awakens ($2.065 billion), though The Force Awakens made $936 million here in North America (some $235-260 million more than Infinity War will make here, demonstrating again that the Star Wars franchise is more popular here than in the rest of the world). Fifth place went to Book Club, which dropped just 36.2% as it earned $6.8 million to bring its domestic total to $47.3 million. Book Club, which its four female “stars of a certain age,” demonstrates what effective counterprogramming for the summer movie season looks like—identifying an underserved audience segment that is not particularly enthralled with blockbuster action films, and then (the hard part) crafting a movie that will have a strong appeal to that segment. Sixth place went to another newcomer Upgrade, which can be seen as a sort of high-tech, science fiction version of that well known “revenge” film The Crow. With limited marketing and hype, Upgrade earned just $4.5 million, but since the film cost just $3-5 million, it will end up making money, though it will soon face competition from the Ari Aster’s horror film Hereditary, which has developed some buzz and debuts on June 8. This week’s other new widely released film, Action Point, which stars Johnny (Jackass) Knoxville bombed, earning just $2.3 million from over 2,000 locations, making it one of the poorest performing films ever to open in that many theaters. As might be expected Action Point attracted an audience that was overwhelmingly male (67%), and younger with 50% of the crowd under 25. The final spot in the top ten went to Overboard, the comedy remake that stars Anna Faris and Mexican megastar Eugenio Derbez. In five weekends Overboard has earned over $45 million, making it the biggest hit yet for Lionsgate’s Pantelion unit, which targets the Hispanic-American audience. Continuing to do well outside the top ten is the documentary RBG, which has become Magnolia Picture’s biggest U.S. release ever, and is the highest-grossing documentary of 2018 by far with almost $8 million. An Academy Award nomination is virtually a shoe-in for RBG. Next weekend the time might be right for a new #1 film. Will it be Warner Bros.’ distaff heist epic Oceans 8, which bows in over 4,000 theaters, or Hotel Artemis, a crime thriller features Jodie Foster as the head of a secret hospital for criminals, or a longshot, the buzzy horror film Hereditary, which stars Toni Collette? Check back here next week and find out.